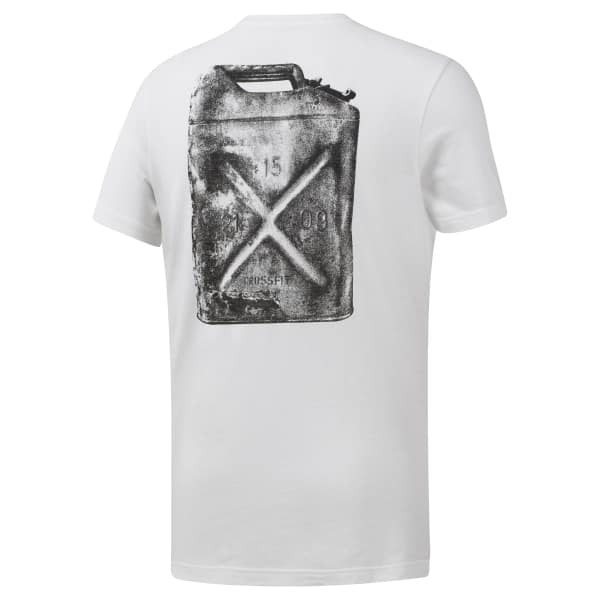 This men's t-shirt features a gritty, discharge-printed graphic inspired by a beat up gas can from the 2011 CrossFit Games Farmer's Walk. It's made of flexible, lightweight cotton for everyday comfort. The slim fit keeps it snug.